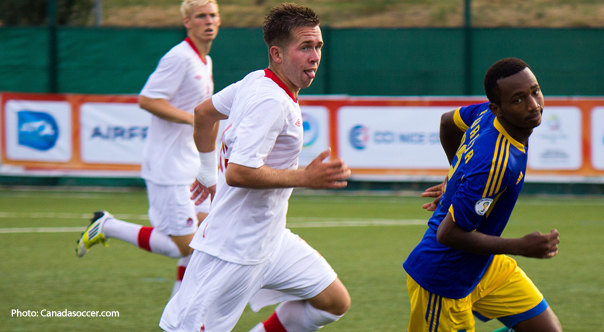 Ottawa Fury FC announced the signing of Canadian Patryk Misik on Friday. The midfielder has experience playing with the Canada U20 national team in 2012, where he crossed paths with Phil Dos Santos, former Fury midfielder Zakaria Messoudi and current Fury midfielder Mauro Eustaquio. Misik will add both depth and youth to the Fury midfield. Misik spent his youth developing in the Toronto area, playing for the Toronto Lynx junior team and the Brantford Galaxy SC before moving to Poland to play with Śląsk Wrocław. After spending a few seasons in the Śląsk Wrocław youth squad, Misik was promoted to the first team in 2013. However, he never managed to make any appearances in the Ekstraklasa. Misik was released from the Polish club in July 2014. Misik will join a Fury roster that already contains plenty of Canadian content, including Mauro Eustaquio, Carl Haworth, Marcel De Bellis, Mason Trafford, Drew Beckie and Philippe Davies. Fury coach Dos Santos is using Canadian content to keep the Fury roster young, with the average age of the seven Canadians currently signed at 23.5 years old, compared to an overall team average of 27. Ottawa Fury players will report for medicals on February 16th and will face both Toronto FC and Montreal Impact reserve teams in their preseason schedule. The Fury kick off the NASL Spring Season on April 4th against the Carolina Railhawks.